Unique System FZE, a Unique Maritime Group company, which is one of the world’s leading integrated turnkey subsea and offshore solution providers, engineered and supplied a monitoring system that will provide the Abu Dhabi Oil Company Ltd. (Japan) with meteorological and oceanographic data to aide operational decision-making. Since Abu Dhabi Oil Co. (ADOC) started its oil production in May 1973, ADOC has been developing its oil fields and producing oil with special consideration to the environment, safety and stability issues. Through such efforts, ADOC has been contributing to the energy supply to Japan and to the development of Abu Dhabi. The system is installed at a Single Point Mooring (SPM) buoy, a large buoy at sea for mooring and filling oil tankers over the course of several days. A common feature of single point systems is that their upper sections are above the surface and that they have a single terminal offloading point around which the off take tanker can normally weathervane. 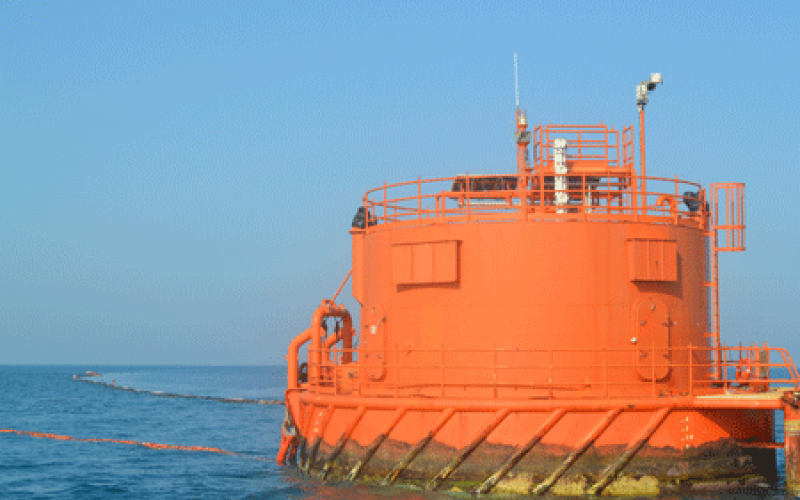 The loading hose and where relevant, the mooring hawser are connected to the bow section of the off take tanker. The objective of the system is to provide real-time data about conditions around the buoy. Both weather parameters and sea conditions are measured and relayed to the Operations Centre on the nearby Mubarraz Island. These include wave height, wave direction, current strength, current direction, water depth, wind speed, wind direction, gusts, temperature, air pressure and visibility. The information is intended to allow for better informed decision-making concerning operations and vessel movements in particular. This in turn better will enable ADOC to safeguard the natural environment by preventing any mishaps or spillages. The meteorological sensors are installed in a new mast which is bolted to the deck of the buoy. The mast is sufficiently high to avoid any interference in the wind-readings by other obstacles. Accurate wave and current information is gathered by an acoustic Doppler current profiler (ADCP). This unit is mounted in a ballasted stainless steel frame and will be placed on the sea bed near to the buoy. The data from weather sensors and ADCP is collected by a data logger located in the central compartment of the SPM buoy. From there the data is transmitted to Mubarraz Island through GPRS telemetry. The entire system will have its own, independent power supply system. To this end, a solar panel will also be mounted on the deck, near the mast, while an extra battery will be placed in the buoy’s dedicated battery room. Cabling between the locations will pass through existing cable transits that still have spare capacity.